This is the best phone I have ever used. I had been using since 3 years. No issues till now. I suggest you to buy this phone at any cost. Camera performance in low-light is very good. Heating problems may disappoint you. 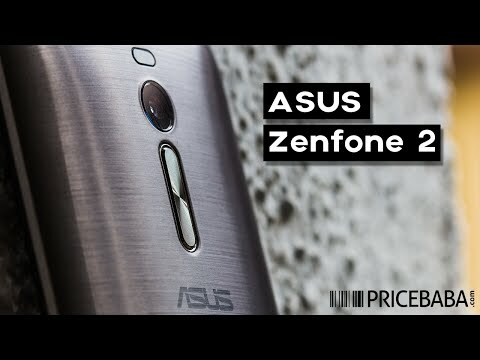 1 Pricebaba user have written their experience with Asus Zenfone 2 2.3GHz/4GB/64GB. If you own Asus Zenfone 2 2.3GHz/4GB/64GB, please do leave your feedback too. Lowest price of Asus Zenfone 2 2.3GHz/4GB/64GB price in India starts at Rs. 22,999 Asus Zenfone 2 2.3GHz/4GB/64GB is available on Flipkart at Rs. 22,999. Prices updated on 21st April 2019. Asus entered the smartphone market in India in 2014 and with the ZenFone series it managed to create an image of a no nonsense smartphone maker. The Asus phones in the series were very popular and managed to put a significant dent in the sales of other smartphone makers. This variant of Zenfone is available in four different colours like Black, Gold, Red & Silver. 3000mAh battery with Quick Charging Capabilities.